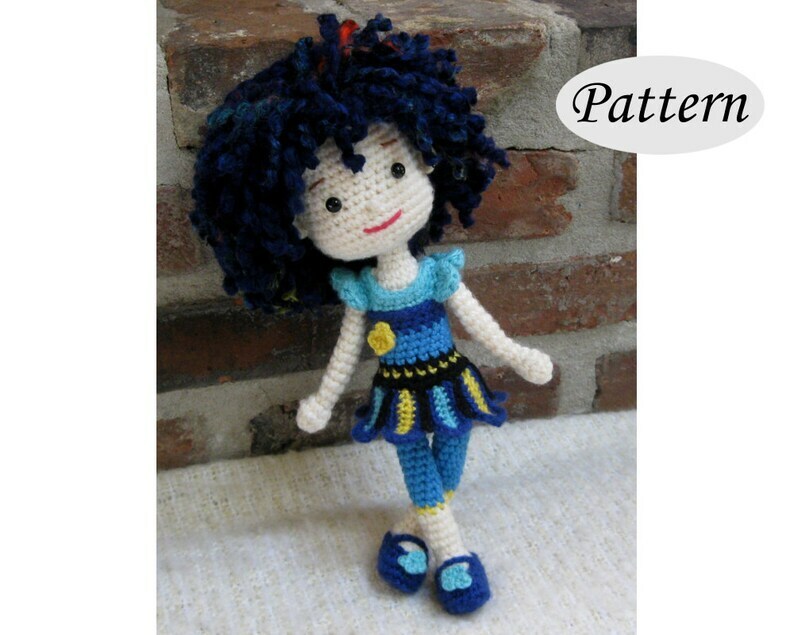 This is a crochet pattern for a 'Blue Pansy ' doll. The little girl has a cute face, luscious hair, and wears a sweet little dress and shoes with decorative flowers. ~11” (28 cm) with worsted weight yarn (199g = 355yd/325m) and a E/3,5 mm crochet hook. Intermediate - you will need to know how to crochet stitches like single, double, and treble crochets, starting with a magic circle, and increase and invisible decrease techniques. There are lovely tiny details and the assembling and embellishment requires love, patience and time.